Vern Burkhardt (VB): Why are purposefully-generated funny ideas more innovative than good ideas? Praveen Gupta: It has something to do with the Internet Age. In the last century the customer-supplier relationship was all about trading – you give me money and I give you products. Or when you place your order, you get your product and can get it repaired when necessary. Companies were trying to exceed customer expectations by giving more than expected, but in the Internet Age what you get does not count. Instead, what counts is the experience you get from the product counts. Experience counts. It is no longer the case that quality is in the eyes of the beholder. It is in the heart of the beholder. If the experience is good you'll love it. If the experience is enjoyable, you'll like the product. If it's not enjoyable, you won't pay for the product; you'll return it to the supplier you bought it from. This point is even more important today because, with rapid communication and socialization through the Internet, experiences are easily shared – both good and bad experiences. Isaac Asimov, who wrote about robots in his science fiction work, said that when people develop new things today they don't say "Eureka!" They say, "Oh this is interesting, it's funny." Apple's success today is primarily because people enjoy Apple products. It's not the functionality of the products that is the differentiator. It's the overall experience. Apple is a most innovative company in creating a unique experience – a feel good experience. In 1990 I was asked by one of the vice presidents of an appliance company how to make money and have fun. I was also asked how these two could be measured. We didn't have an answer. The company could measure how much money was being made, but they couldn't measure how much fun they were having. Employees were stressed and not overly happy, and certainly not having a lot of fun. This question about measuring fun lay dormant in my mind for about the next fifteen years. It was while working on the topic of innovation that I discovered the answer. It relates to the brain. When you go to brainstorming meetings you get a lot of ideas, but many of them are not innovative. Brainstorming meetings are a rehash of ideas. Studies have shown that brainstorming is only about 30% effective. A few attendees give all the ideas while others do not even get or take the opportunity to share their ideas. The typical brainstorming session is like memory dumping. Participants are dumping their memories; they're clearing their memories. But while doing this they're not thinking. Thinking begins when you ask people to come up with some crazy ideas, stupid ideas, or funny ideas. Crazy ideas come more from the left brain. Stupid ideas originate from the right brain. Funny ideas occur when you get the left and right hemispheres of the brain to work together for the purpose of creating an enjoyable experience. The extent of innovation increases when you move from generating good to funny ideas. VB: Funny is often associated with a joke, which has a surprise element to it. Praveen Gupta: Yes; you said it well. Funny is when I use something or hear what is said, and I get an enjoyable experience. The question is where do you see innovation on demand in real time today? Look for comedians, artists, or writers. They innovate on demand. In the Information Age we have to have the similar opportunity to be innovative on demand. We just need to preserve our sense of humor. We all have this inherent ability. Somehow as we grow older, we lose our 'fun' sense because we've been told don't smile, don't laugh, don't enjoy, and just work hard. We have to re-discover our joyous self. The question is how do you think funny? What makes you feel like you are having fun? I came to the conclusion that fun means thinking without boundaries. It is unlimited thinking. People normally do this when drinking beer at the bar – they're thinking with no constraints. It's like dancing when nobody's watching. Thinking without constraint is having fun. VB: People can learn to be more innovative by participating in Improv Theater? Praveen Gupta: Certainly! We include improv in our training – just have fun and relax. Don't be constrained by boundaries. Yes, there are rules that must be followed. At the same time, rules are there to be broken and improved, and new rules are to be made. We shouldn't be limited in thinking it costs a little. VB: The fear of being laughed at or looking like a fool restricts our innovative ability. Praveen Gupta: Yes. It has been proven time after time, and in every single session I lead, that it takes more time to think of stupid ideas than good ideas. It takes even longer to think of funny ideas compared to good ideas. Praveen Gupta: It's because people aren't used to thinking. Once they learn how to think they are able to think of funny and stupid ideas faster. Training helps. It's not that we cannot do it – we have to be shown and trained. Every brain, every person, is capable of thinking of stupid ideas and of funny ideas. VB: Do you mean our brain has to learn and be trained? Praveen Gupta: Yes, our brain needs to relearn and be retrained to be normal again! Our brain is what distinguishes us as human beings. We are defined by our brain's intellectual capabilities, but we don't use it to its fullest potential. Our goal with Business Innovation is to help people use their brain a bit more. VB: "The average adult thinks of 3 to 6 alternatives for any given situation; the average child thinks of 60 alternatives." Is this because as we get older we lose our creative thinking ability along with our childhood innocence? Praveen Gupta: When we are children we are oblivious to boundaries. We do what we feel like doing. When I ask my kids, who are actually now young adults, about this they say, "Dad, we don't plan! We just do things." Sometimes it's necessary to do things unplanned. Planning is important, but the question is when and when not to plan. When to have and when not to have rules. When to have and when not to have structure. We have learned that innovative thinking requires little or no structure, and it doesn't cost a lot of money. It is the doing that costs money. But why restrict thinking for the sake of doing? We should separate definition from implementation of requirements. First produce the best design and then optimize for production, but don't limit yourself to what is possible. If you do, you are not stretching your thinking; you are beginning with constraints. We have to train people to think as much as possible in different ways when designing things. Once they've completed the design they can then figure out how to optimize it. We have a methodology that makes innovation profitable, but we shouldn't limit our thinking for the sake of optimizing profit. VB: We need to observe our children in order to learn how to get rid of some of our boundaries. Praveen Gupta: We need to play how we used to play when we were young. Play with some of the things that kids play with. Play with tinker toys. Don't be resistant to playing. Just play! VB: "Just play" and "play with tinker toys." Is it that we are able to be more creative because playing helps us have more fun? Praveen Gupta: Psychology and physiology are related. When we are mentally tired, physical exercises make us mentally alert and productive again. Similarly, when we play physically our minds become active because suddenly we are using all of our senses. When we're active mentally it energizes us physically. It gets us doing something different. VB: Perhaps we need to learn to "lighten up." Praveen Gupta: Yes, lighten up! Combine things in your mind so you can become a good combiner. Combining different things is a great thinking process. Fantasizing is good! VB: Combining things in our mind is fun; it's a fun mental exercise. Praveen Gupta: Absolutely. You are trying different things. Thinking means there is something new. And new means a new combination. Thinking by default is creative. Thinking means doing something different and trying new combinations. So creativity and thinking mean the same thing. VB: There is a tendency to restrict ourselves through rigid planning processes and expectations for rational behavior, whereas your advice is we should be encouraging ourselves and our employees to have more fun and be more spontaneous? Praveen Gupta: Some successful companies encourage their employees to have fun and be spontaneous. I'm aware of one large multinational company that hires some musicians and artists to support their techies. They even take their highly educated people, their PhD's, to a comedy club. Having a PhD doesn't mean you have to be narrow minded. Learning never stops; and it also means constantly doing different things. If most of the people working in R&D departments are highly educated and thus have a dominant left-brain, how can they be expected to be innovative professionals? In many cases, companies struggle with their R&D departments in generating innovative solutions. In this global economy companies need to create a culture of innovation, and institutionalize processes to support the development of new products, services, solutions, and processes. George Bernard Shaw said there are two types of people. There are reasonable people who follow the system and do whatever the system tells them, and there are unreasonable people who have the system adapt to them. Thus all progress comes from unreasonable people. It does not hurt to be one of the unreasonable ones! VB: We hire people into R&D organizations based on their expertise. They are rational thinkers. We put them in an environment that's fairly serious, and then expect them to be highly innovative. Does this make sense? Praveen Gupta: It's not going to happen, and R&D organizations have been only about 5% successful in generating significant innovations for profit generation. VB: "A group of individuals thinking independently and working together is more effective than a group of people brainstorming (thinking together) and working independently." Following on this observation, how should we organize work groups in a business environment? Praveen Gupta: Often for brainstorming sessions we bring 5 to 10 people into a room, and ask them to give their ideas. In most cases, 2 or 3 provide a lot of ideas and the remaining people offer only a few, if any. Before you have the brainstorming session let everyone think individually and bring their ideas to the meeting. Then proceed with brainstorming to discuss those ideas so the brainstorming is focused and encourages everyone to participate. When I'm teaching a class I ask my students whether anybody has a question. This means does anybody have an idea? Most often nobody raises a hand. If I force it, maybe one or two will ask one question. Then if I give them a 3x5 card and ask them to write down a question, everyone asks great questions. This illustrates the benefit of creating a system and environment where everyone is encouraged to contribute intellectually. Bob Galvin, who has been a great leader, used to say at Motorola he had 10,000 managers and 100,000 employees. He wanted to use all 110,000 brains for the company. Why not? Whatever the size of the company – 5, 20, 100 or 1,000 employees. Can you imagine how powerful it would be if all the employees' brains were working toward a common cause? Companies would become more innovative. VB: We would harness all that brainpower. Praveen Gupta: On average we are using about 5% of our brains. Imagine if we were to use 10%? With double the use of our brains the world would explode with innovations! VB: Given the importance of services in the economy of many countries, should innovation in this sector be studied further? Praveen Gupta: I'm not sure the distinction of services is necessary. Even service companies call their services 'products', don't they? And the product companies don't survive without service. Trying to differentiate between products and services can cause confusion. If we look at every business as a collection of processes then we will not see much difference. According to our 4P model for achieving process excellence, which is Prepare, Perform, Perfect, and Progress, every process needs inputs that can be categorized in material or information, machine or tools, procedure or approaches, and people or skills. One can see that the main difference between services and non-service businesses is the portion of people and machines. Product-related processes use more mechanical inputs while service-related processes use more people. Services should be more innovative as they rely on people. When the customer is in front of you, you must innovate on demand. It's possible once one understands how the innovation process works in the human brain. VB: Managers and owners would be wise if they enable their front-line people to innovate on demand when dealing with customers. Praveen Gupta: Absolutely, and it shouldn't be restricted to innovation on demand. Employees can innovate to improve profits, and also to grow revenue. They can innovate for profitable growth. The key is to encourage people to think at all levels in an organization. The brain is much developed when you are about six years old. And after that development is only incremental. By about six years of age we have developed both sides of our brain, and after that we are mainly developing the left brain. To be more educated means our left brain is more developed. Many times a lot of new solutions will come from less educated people. For example, Bill Gates never finished his education program but has had an incredible impact on our generation. Apple is another example that has some influential employees who are drop-outs. In other words, there are many very smart people who pursued their passions without formal education. I recently worked with production workers to apply our breakthrough innovation methodology to reduce use of chemicals, and thereby make a manufacturing process more environmentally friendly. By going through the innovation process they were able to develop a solution to reduce the consumption of solvents, save money, reduce waste, and make the environment greener. These workers showed they could be highly innovative even without formal education. When people drop out of school or college it doesn't imply they are not good learners. Sometimes the dropouts are great learners because they want to learn more about what they love to do, instead of what a standard education system teaches them. VB: "…surveys, questionnaires and focus groups fail to get behind the curtains of consciousness (i.e., where motivations, perceptions and decisions originate)." In your experience do leaders understand the risk of innovation failure if they ignore the unconscious mind by relying on traditional innovation practices and market research methods? Praveen Gupta: Innovation begins with creativity, and creativity results from a new combination of two or more things. The deeper you go in a process the more you learn at the detail level, and this means there are more possibilities to combine things – to create. If you look at the problem or issue at the highest level, you can see only one thing. If you go to the lowest level, you can see all the electrons, which means you have infinite possibilities for creating new things. The devil is in the details. The more detailed your focus, the more possibilities and opportunities there are for innovations. Design innovations create some new experiences with a new form, not necessarily new knowledge. So they are not long-lasting. Motorola is a great example. When Motorola introduced its first generation of cell phones it offered a new platform for growth. When they introduced the Razr, which was a design innovation, it didn't last as long and offered no future development. Of course, you have to pay attention to both knowledge and design innovations. Surveys and questionnaires gather obvious responses but fail to approach the sub-conscious mind that can only be touched by care and relationships. Employee relations are as important as customer relations. We must consider changing HR from human resources to human relations in order to exploit the subconscious corporate mind for institutionalizing innovation. It is critical to offer service innovations. VB: Do you have one or two favorite approaches for engaging customers in the innovation process? Praveen Gupta: Noriaki Kano has developed an excellent model for understanding customers' requirements. He developed this model to understand customer requirements in the airlines industry. He learned that there were three types of requirements: basic, market driven, and delights. We changed the Kano's 'delights' term into 'love-to-have requirements', a basis for enjoyable experience and innovations. Before '85 there wasn't much of a focus on customer relationship management, or supply relationship management. Even with this being the focus more recently, the relationship cannot be managed unless there is a love between the two entities. If you want to have a relationship with your customers, you must deliver what they love to have. This means you have to engage and live with them to learn what they love to have. I know of one extreme example; one sales person married to her customer. Seriously speaking, cohabitating with customers is not bad. Toyota did this when it developed the Lexus. They sent their sales people to live where their customers lived, in California, and they developed Lexus as a very successful brand. Kano's approach is about listening to spoken and unspoken customer requirements. You must want to learn what customers love to have, and believe in delivering it. This requires caring for your customers. It does not need to cost extra. It requires creativity to provide that element of surprise to make customers think, "Wow! I've never seen this before. I would love to have it or experience it." This is my approach to delivering enjoyable customer experience innovatively. VB: Of the short list of processes identified in Business Innovation for fostering collaborative processes in groups – Creative Problem Solving, Scenario Planning, 6 Thinking Hats, and TRIZ – is one your favorite? Praveen Gupta: I use all of them. Each has different applications. It's all about having the desire to be creative, and then people can figure out what tools they want to use. When I like to play different roles, Edward de Bono's Six Thinking Hats approach is useful. I use TRIZ for systems thinking. Rather than giving people a tool it is more important to tell them, "We want you to use your intellectual best." The same applies to offering case studies as most often they are not applicable to the specific circumstances of a company. VB: "Just like purchasing, sales, production, or quality processes, innovation should become a standard process in a corporation." Have you witnessed organizations that have succeeded in transforming to the stage where every employee feels motivated to contribute ideas that create value at the activity, process, or product level? Praveen Gupta: I haven't seen a change in many companies' culture when leaders say they are intentionally changing the culture. The culture of a company is influenced by everything the company does, such as its systems, tools, policies, procedures, leadership style, decision-making, actions, and even the layout of its buildings and space. Leaders are not there to change people's culture or, for that matter, their behavior. Their goal for the business should be to change people's processes. How long does it take for people to change their mind and, when they do, is it momentary or permanent? It is a question of motivation. If people believe it is worth changing, they will change and the converse is true. So the question is how do you make it worthwhile for people to change? I have come to the conclusion that if you make the change valuable, interesting, and hopefully fun, people will change. If you make it worthless and painful, they will resist. At Motorola we were challenged by setting quarterly stretch goals. In addition, there was the incentive of sharing benefits. The reward was that whatever money was saved, we received part of it. Bonuses could be as high as 45% to 50% of our salary. The fear of layoff was not present, but the incentive of reward was. If you create a culture of challenge, reward, and recognition people will respond. If the culture is one of high expectations, but there is little or no recognition and reward and perhaps even punishment, people will resist. Transformation in a corporation occurs where you have a focus on profitable growth. When a company focuses only on profit, it produces stress. If the focus is on growth, it is fun. It's like profit is left brain, and growth is right brain. The critical question is how to bring the left and right brain people together. VB: With growth you should inevitably have profit if you have good processes in place. Praveen Gupta: If you have an innovative approach and the right discipline you can make money. Our innovation methodology focuses on creating profitable innovations, not just innovations. Steve Jobs has been successful because one of his requirements is that innovations must be profitable. It's amazing that GM announced some time ago that their new Volt car will not make money. How can one afford losing innovations? In principle, our innovation methodology may be described as being a combination of Apple and Google – to create a profitable innovative process. Apple has innovative leadership and Google has an innovative culture. To be successful, you need both. VB: Is it a good idea to try to measure innovation in an organization, or might establishing the measures lead to the risk of inhibiting certain types of innovation activities because they won't be reflected in the official measurements? Praveen Gupta: Two years ago the Department of Commerce in the U.S. issued an open invitation for measures of innovation. In our society we love to measure without understanding. Even when people don't understand the innovation process they want to measure it. They are likely to measure many things and, after conducting statistical analysis, be no further ahead. Our knowledge of innovation as a process led us to conclude there are three initial measurements for innovation. Three measurements are much less than the dozens collected by various organizations. The three measures relate to the process input, in process, and output activities or results. The input to the process is inspiration, leadership inspiration to recognize employee innovations. Inspiration comes from recognition and reward so we recommend companies implement a recognition and rewards system to inspire employees for innovation. If one employee generates innovative solutions but nobody cares, other people stop innovating. Success breeds success. Innovation breeds innovation but it must be made visible. The second measure is the average number of ideas generated per employee. This measure informs us about the degree to which employees are intellectually engaged. The third measure of the innovation process which we recommend is revenue growth. VB: The second measure, ideas per employee, requires that ideas be submitted and formally recorded? Praveen Gupta: Yes, it's an indication of employee participation through their innovative ideas. Some people are concerned about rejection of their ideas. We should encourage stupid ideas. We have to create an atmosphere that encourages crazy ideas rather than setting boundaries on the types of ideas that are acceptable. The key is to encourage actively thinking minds. If employees are submitting ideas it means they're thinking. If not, they're not thinking. With today's technology you don't have to manage the idea submission process. You can create a system that will give instant feedback to employees. When employees receive this feedback the result will be generation of even better ideas. VB: This seems to be a key point. Encourage employees to generate ideas rather than restricting their ideation to only generating what they consider to be good ideas. Indeed, some ideas that may not appear to be highly creative and innovative – perhaps even crazy ideas – may enable a combination of two things leading to something creative. Praveen Gupta: You bet. Encourage employees to give their ideas even if they think some of them may be stupid or funny ideas. This is telling them no idea is a bad idea, and this is a powerful message. Of course, our approaches for dealing with the ideas submitted must not provide hidden messages that indicate we think any of the ideas are unacceptable and therefore not worthy of consideration. VB: Saying we want to receive all ideas is reinforced when we measure and report on the number of ideas submitted. This is a key difference compared to only reporting on ideas that have been implemented. Praveen Gupta: Set a goal that we expect every employee to turn in their ideas, and then measure and report results on an ongoing basis. Perhaps set an expectation that every employee will turn in some ideas – at least one – every day. Why not? Active minds will generate new ideas every day. Imagine what could happen in this type of environment. VB: Have you personally met any exceptional leaders who not only tell a great story about the need for, and benefits of, continuous innovation, but also constantly demonstrate these behaviors as a role model? Praveen Gupta: As I have said, I was lucky to meet Bob Galvin when he was the CEO of Motorola. He worked to improve quality and, together with Bill Smith who we discussed earlier, implemented the Six Sigma quality system at Motorola during the 1980s. Galvin was able to communicate in the language of innovation so he could inspire creativity and innovation. He even wrote a summary of the nuggets in Alex Osborn's 1991 book Your Creative Power, which is included at the end of my book, Business Innovation. It's powerful when a leader can communicate in the language of excellence and innovation. Galvin enabled an environment where people were encouraged to take risks and try new things even though it would mean they would sometimes fail. His motto was when people have ideas they often don't offer them so when they do, don't ask, "Why?" Ask, "Why not?" Create an environment in which if somebody has an idea they are encouraged to try it. Galvin was a strong leader in setting new strategies for the company. Financially, he had one big failure, but wasn't sorry for it because it led to new frontiers. Of course, I'm referring to the Iridium system of 66 satellites in space that provide satellite telephone services. This innovation produced new capabilities with revolutionary technology such as the Global Positioning System (GPS). The lesson is we should never be afraid to fail. Where CEOs of companies have a vision to grow their businesses, they would be wise to examine examples of other CEOs who have demonstrated innovative leadership. Any company focused on growth has to deploy innovative approaches. For some companies growth has been accomplished through mergers and acquisitions. While mergers and acquisitions may be successful, they generally don't encourage innovation. This strategy entails paying dearly for other people's innovations to kill competition, kill innovation of the company being acquired, or exploit their technologies. VB: Are mergers and acquisitions becoming less of a focus for achieving growth? Praveen Gupta: Yes, there are fewer because equity money and credit are now less available due to the economic downturn. This means the focus has to be more on organic growth, which means an increased emphasis on innovation. This has always been the focus of good leaders. We are all aware that Procter and Gamble, for example, has a recipe that a certain amount of growth can come from mergers and acquisitions, but revenue increases also have to come from in-house organic growth. Mergers and acquisitions are usually not a good process for achieving growth since the success rate, according to one survey by KPMG, is only about 10 percent. VB: You are the President of Accelper Consulting. What services does your firm provide? Praveen Gupta: Our name Accelper stands for accelerating performance. We recognize that incremental improvement is not good enough. In the global economy competition is high because companies all over the world are engaged in continuous innovation. Companies have to innovate and accelerate rapidly. The recipe we developed for this has four ingredients: the business scorecard, improvement, innovation, and process excellence. Our passion is innovation because we realize that corporate growth will not come unless companies plan to grow through innovation. We provide services to corporations to help them achieve profitable growth through excellence in innovation. We are more like an operations management consulting firm, helping companies achieve profitable growth. Even though we have developed a comprehensive portfolio of capabilities to support innovation, our initial focus is teaching people how to deploy innovation on an ongoing basis. We recognize that, when everybody wants to be innovative, without education it will not happen. We are committing significant resources to developing education programs for teaching innovation methods. We've developed certification programs for our innovation methodology. We also offer an executive overview on business innovation for profitable growth. VB: Some universities and colleges are recognizing the value of education in innovation. Praveen Gupta: Here is a good example. When I showed my innovation slides to people at Illinois Institute of Technology in Chicago it took them three minutes decide to have me teach innovation. This course is now being offered for the 9th consecutive semester. This was not an isolated event. Recently a university with campuses in the mid west, west coast, and east coast of the U.S. started offering education in innovation using our Breakthrough Innovation framework. People are hungry to learn about innovation, but they often don't know how to get access to it. Through Accelper we are offering a platform whereby people can learn and become competent in introducing and sustaining an innovation initiative. VB: You frequently speak at conferences and special events. What are some of the topics you cover? Praveen Gupta: Most of my presentations are on innovation process excellence. I talk about establishing an environment where employees can improve their intellectual performance. I love talking about the innovation framework and the 4P Model of Process Management to achieve excellence. You can't merely be an innovator; you've got to be an excellent innovator. Excellence is a prerequisite to making innovation profitable. When I started developing the 4P model I asked myself the question, why are the developed economies suffering and what's wrong with the process of innovation that many companies are using? The longer the suffering the more ingrained are the approaches used by the corporations in these economies. I found that the theories and approaches they are using were developed in the 1920's. They must be adapted or new ones must be developed for the new age. The vice president of one of my clients summarized it when she said, "In the Western economies the culture is 'shoot and aim.'" This approach comes with prosperity; the focus is speed over excellence. Developing economies have fewer resources so they have to 'aim and shoot.' I have found that the process models generally being used today were not designed for process management; instead they were designed for product control. I give presentations or keynotes on innovation, excellence, living well, public speaking, and Six Sigma. VB: Being involved in developing the Six Sigma process must have been challenging but fun. Praveen Gupta: At the time we didn't know it would become such a big thing. Looking back at what we were doing and how big it became, there is a good feeling about the role I played in the success of Six Sigma. Most recently I developed an innovative approach to the Six Sigma methodology. It's Six Sigma without the statistics component – "Stat-free Six Sigma." It simplifies Six Sigma by eliminating the boring and 'difficult to learn' statistics, and empowers more people to benefit from the power of Six Sigma. I want to highlight the positive feedback we are receiving about the innovation methodology which is consistent with our name Accelper. For example, one of my students emailed me about what he had learned. He said, "Professor, I joined a large company where they were trying to develop a new platform for a year and a half. We applied the methodology you teach, and we were able to develop it in only three days." This illustrates the beauty of utilizing our intellectual capital and streamlining our thinking processes. The methodology can accelerate innovation by an order of magnitude. Recently I received a SMS from my student, who was in an airplane returning to her country, saying how thankful she was about the innovation course. VB: It must make you proud. Praveen Gupta: I am privileged to be doing this, and I count my blessings. VB: In addition to developing the concept of BrinnovationTM which we previously talked about, you have developed a Six Sigma Business Score-card for measuring corporate performance, the 4P model for achieving process excellence, and the Corporate Sigma for monitoring Six Sigma initiatives. Do you use all of them in your consulting work? Praveen Gupta: We do. For example, we used the tools to work with a company in the U.S. to turn around its financial situation from a 5% loss to 5% profit in about 9 months. We use Scorecard, Six Sigma, 4P Model, or Breakthrough Innovation, depending on the company's priorities. But ultimately they have to achieve profitable growth. If they don't have a fundamental strategy of sustained profitable growth, then they would neither need any of these tools nor achieve profitable growth. VB: Of the books and articles you have read about innovation, which ones are "must reads?" Praveen Gupta: I recommend Peter Drucker's Innovation and Entrepreneurship. It's amazing that he was writing about innovation and entrepreneurship 25 years ago. Drucker separated innovation from entrepreneurship but many business leaders and educators did not take note of this. They only pursued entrepreneurship. Drucker believed that innovation had to have a process although he had not spent much time on it. I suppose it is his unfinished business that I am trying to finish. Robert Weisberg, in his book Creativity: Beyond the Myth of Genius said in the 80's it was time that somebody develops a theory of creativity. I also enjoyed Innovator's Dilemma and the Innovator's Solution by Clayton Christiansen, and Open Innovation: Researching a New Paradigm by Henry Chesbrough. Of course, I recommend my book, Business Innovation in the 21st Century, because it is a comprehensive book on the subject but it requires a determined mind to read it as it's not a storybook. There's an easier version coming but the full version will still be worth reading, as it is a foundation work in the field of innovation. We didn't set out to write a book; we developed the innovation process as a foundation for standardizing the process of innovation, and shared it through the book. I hope it is useful. VB: I certainly found your book to be informative and useful. Praveen Gupta: I was impressed that you devoted so much time to read and understand it, and to ask these questions. These questions leave no doubt about whether you have read the book. I'm glad you liked it and are willing to feature it at IdeaConnection. VB: When is The Innovation Solution, the abridged version of Business Innovation, going to be published? Praveen Gupta: The book is completed, and thousands of copies have already been sold prior to its publication. It should be coming soon! VB: Who did you target for the abridged version? Praveen Gupta: It should be a good book for executives, but anyone interested in creativity and innovation should find it to be of value. It should be of interest even to those who have read Business Innovation as it offers new components of the innovation process. VB: Do you have an estimate of how many hours it took you to write Business Innovation In the 21st Century? Praveen Gupta: I'm not sure as I wrote a bit every day. My first book, Six Sigma Scorecard was an experience. I spent an average of 3 hours a day for 100 days researching and writing it. I'm proud of it, not just because it was a best seller for me, but it created predictive and intelligence dimensions to the corporate performance. As to the Business Innovation book, one chapter on Brain Hardware and Innovation Process consumed about nine months. The entire book took about three years to complete. VB: Have you received positive feedback about Business Innovation? Praveen Gupta: Yes, we have received excellent feedback from the readers who dare read the book, given its size. I was most impressed by the feedback from another innovation professional who has his own theory of innovation. I am equally impressed by your comments and effort in featuring the book on IdeaConnection. In addition, there is a globally growing interest in the innovation process, the Brinnovation™ framework, and the book. The Business Innovation book has been published in Portuguese, and in India for the South Asian countries. Besides, we are setting up partners in different countries to promote learnable innovation methods. The book has been exposed in Malaysia, India, Singapore, Portugal, Croatia, Serbia, Mexico, Canada, Brazil, France and, of course, North America. People are keen on learning innovation. VB: Do you have any thoughts about how to raise children so they remain innovative as adult? Praveen Gupta: I do have a couple of thoughts, which relate to family and secondly to what a nation should do. My thoughts about family are sparked by a comment made by Joe Namath, the New York Jets quarterback, who said, "Until I was 13 my name was 'No'." Parents should encourage and let their kids do what they want to do. And don't say "no" to whatever they want to do. Playing is good. What some might call wasting time with your kids can actually be a good use of kids' time. I have tried to do this with my daughter. I have said to her, "Let's go waste some time, and we walked and we wasted time together. These were some of the best communication times I had with my daughter. We should use some unconventional wisdom when raising kids. I've come to the conclusion that the most important thing is not to disturb children's peace. Don't agitate them. Parents often are agitating even when they think they are calming their children down. If we don't agitate our kids we are doing them a big favor. This doesn't mean you have to bribe them with material things and gifts. Give them simple things to play with, and play with them. Today kids have so many toys but they don't even know how to play with most of them. It is better for our kids to remember that their parents played with them. We do not need be teaching them. That will come naturally if we ask them what they want to do and we let them do it. The second part is what a nation could do. Just like the campaign in the U.S. that milk is good for you, there should be a campaign and tolerance for questioning because it's good for everyone. Creating a culture that promotes questioning could be a competitive advantage for a country. VB: Are there any other steps that should be taken at a national level to promote innovation? Praveen Gupta: The developed world is generally more innovative, but it's declining. Developing countries have less to play with; thus they're more challenged to innovate. Developed countries are trying various approaches to promote innovation. For example, the European Union has developed a strategy that every country must plan to launch an innovative initiative to maintain the standards of living with an emphasis on infrastructure and educational support. The missing link is education in innovation. They can teach students science, technology, math, and engineering. As we discussed, it is developing their left brain instead of both sides. I hope that leaders in U.S. and Canada will develop a national vision to grow the country's economy by inspiring their respective citizens to innovate. The focus should be on getting people intellectually engaged in this important area. I'm trying to do my small part in the U.S. to promote teachable innovation in some regions. Most of the new jobs in any country will not be created by the large corporations anymore; they will be created by people in communities. This is because in the knowledge age with access to the Internet, a networked individual is the building block of innovation. Most often revolutions are led by the people. So the question is how do you get people challenged to be innovative rather than waiting for initiatives from their government? The American government and many other developed countries have been investing so much money in infrastructure to stimulate their economies during the economic downturn. My approach would be to direct a lot of this money to educating citizens for innovation. This would truly have long-term economic benefits. VB: Do you have any additional advice for our IdeaConnection readers about Business Innovation in the 21st Century? Praveen Gupta: Thank you for allowing me to share my experiences with the IdeaConnection community. IdeaConnection offers a great platform for companies to find innovation solutions. It can help companies identify solutions to their challenges; it's like an extension of their R&D departments. This is a marketplace that is evolving in the innovation space, and its generating excitement in different parts of the world. I recommend people in businesses and in the communities accelerate their ability to be innovative by learning the innovation process. There is room for both. They both have to be involved if we are to accelerate innovation in this highly competitive world economy. We assist companies in developing in-house innovation capabilities. It's not very complicated. We teach people creativity in a few minutes, and the breakthrough innovation methodology, called TEDOC (Target, Explore, Develop, Optimize, and Commercialize) in two days. Accelper Consulting also offers a one-week course for people who want to master business innovation, along with the Business Innovator certification. Maximizing one's potential innovatively is one's right and obligation. You can become more innovative faster by learning the process of innovation rather than just trying to be innovative. Education is the first step to becoming more innovative. VB: With that I would like to conclude by thanking you for sharing your many insights about creativity and innovation. And we wish you continued success at Accelper Consulting. There is much to learn by reading Business Innovation for those wanting profitable growth, or to personally become more creative and innovative. For example, author Praveen Gupta identifies 9 steps in the basic innovation process, which he calls BrinnovationTM, to help us realize "breakthrough solutions through innovative thinking." It's a continuous process. Praveen Gupta advises that the innovation process itself must be a lot of fun. "Generating one truly innovative product or service requires many ideas. Therefore, creative play is a necessity, idea generation is imperative, and engaging in innovation is every employee's overriding responsibility to him or herself, the organization and society. Even if ideas do not turn into products or services, people need to continue to play or create. The persistence and perseverance will eventually lead to innovation on demand." Innovation on demand for profitable growth, and have fun. It's a worthy undertaking. Praveen Gupta is the author of Business Innovation In the 21st Century: A Comprehensive Approach to Institutionalize Business Innovation (2007), ISO 9000: 2000 An Implementation Guide (2006), The Six Sigma Performance Handbook (2004), and Six Sigma Business Scorecard: A Comprehensive Corporate Performance Scorecard (2003). 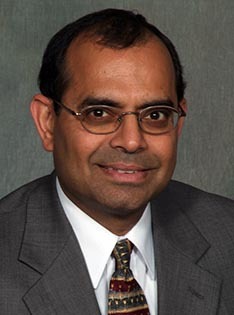 He is also co-author of Stat Free Six Sigma (2007), Improving Healthcare Quality and Cost with Six Sigma (2007), Six Sigma for Transactions and Service (2004), The Six Sigma Black Belt Handbook (2004), Six Sigma Business Scorecard: Creating a Comprehensive Corporate Performance Measurement System (2003), and Six Sigma Deployment (2002). His published articles include "Innovation: The Key to a Successful Project" (Six Sigma Forum Magazine, August 2005), and "Innovation and Six Sigma" (www.qualitydigest.com, December 2004).